National Recovery Month, sponsored by the Substance Abuse and Mental Health Services Administration, is observed every September in the United States. Also known simply as Recovery Month, National Recovery Month is an opportunity to honor those who are in recovery from substance abuse and mental health issues. This movement also raises awareness and understanding for those who are struggling with addiction and psychological disorders, while also encouraging them to seek treatment. Healthcare providers and those in recovery support services are also recognized and celebrated. National Recovery Month is an opportunity to honor those who are in recovery from substance abuse and mental health issues. The theme of Recovery Month for 2015 is “Join the Voices for Recovery: Visible, Vocal, Valuable!” Communities are encouraged to be visible by acknowledging the pervasiveness of substance abuse and mental illnesses in society. Being vocal involves being aware of the warning signs and symptoms. To be valuable, awareness of resources available to those with addiction and mental health disorders must be raised. National Recovery Month shines a light on the members of our country’s population who are suffering from substance abuse and mental illness. The statistics given below prove that these diseases affect more people than the average American may realize. By making these disorders visible, the stigmas attached to them can be reduced so that those affected can get the help they need. According to the National Institute of Drug Abuse, “Drug abuse is a major public health problem that impacts society on multiple levels.” In 2013, 22.7 million people in this country aged 12 or older required treatment for substance abuse problems. Of these, only 11 percent, or 2.5 million Americans, actually received therapy at a designated facility. Willing involvement in drug abuse education programs has been shown to decrease drug use. Studies in the Journal of Drug Education have shown that while school-based drug prevention programs have positively affected awareness and attitudes, they have not changed the students’ drug use. The factor that did affect substance abuse was voluntary participation. When students volunteered to take part in these programs, lower drug consumption, as compared to those who were required to participate, was reported. Also prevalent in this country are alcohol use disorders (AUD). In 2013, 16.6 million American adults were reported to be suffering from an AUD. 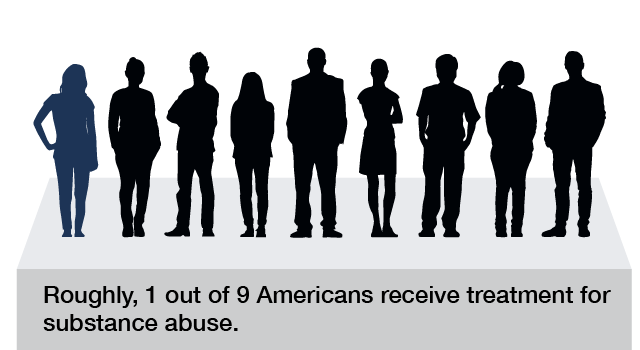 Only 1.3 million (7 percent) of them received treatment. Children are not immune; 697,000 adolescents aged 12 to 17 suffer from an AUD, with only 73,000 (10 percent) of them receiving treatment. Sadly, 60 percent of adults and 50 percent of children aged eight to 15 with a mental illness do not receive treatment. A study performed by the American Psychological Association tested the effects of three strategies for changing the perception of SMIs. Protests to defy public attitudes toward mental disorder sufferers had no significant effect; however, education and direct contact with mentally ill individuals positively changed attributions. 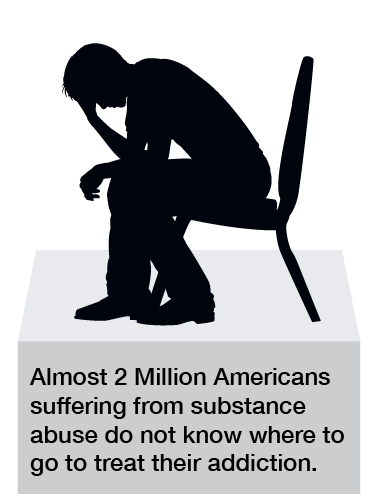 Results from the 2013 National Survey on Drug Use and Health cited that 20.2 million Americans aged 12 or older did not receive treatment for illicit drug or alcohol use. Of these, 1.9 million, or 9.2 percent, wanted to receive treatment, but did not know where to turn. Recovery Month focuses the spotlight on healthcare providers and treatment centers that are dedicated to providing therapies that allow patients to battle addictions and mental disorders, such as Seaside Palm Beach in Florida. At Seaside, we honor the fight against substance abuse and mental illness during Recovery Month, as well as every day. Our world-renowned doctors, therapists, counselors, and staff discretely provide comprehensive programs using the latest therapies to optimize chances for patient success. Contact one of our caring patient-advocates to start your journey to gain control of your disease and your life!